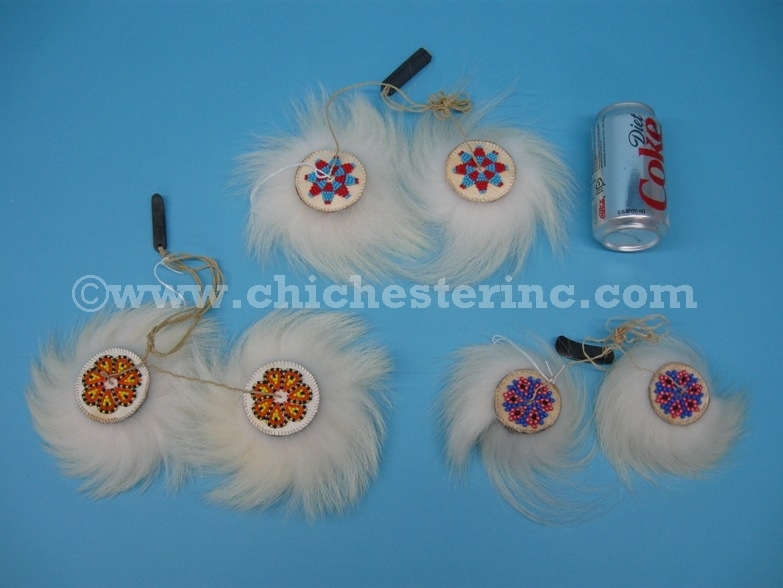 These polar bear yo-yo's are made by Inuit artisans in Alaska. The yo-yos are approximately 2" to 2.5" in diameter and 2" thick. 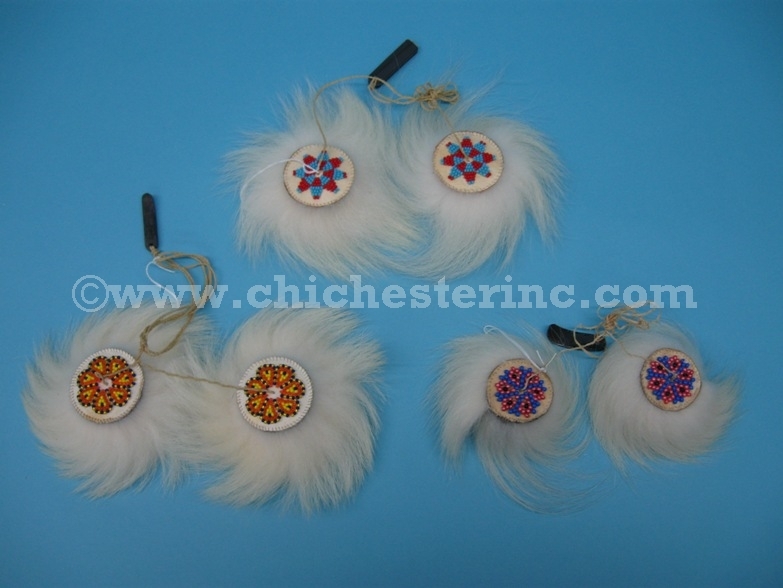 They are 5" to 6" in diameter including the fur. They weigh 2.1 to 3.5 oz. Our Gxx codes denote individual pieces. 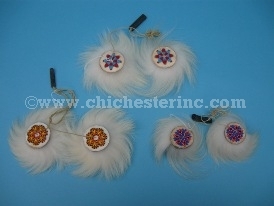 If you would like to order a specific polar bear fur yo-yo, please go to our Gallery to pick the exact one shown. Genus and species: Ursus maritimus. Wild.